Say No to Cheap Ozone Machines that Work Slow & Fail Fast! Over the last ten years my company has built over sixteen thousand ozone generators right here in America and I've sold a high percentage of them directly to auto detailers, car dealers, and individuals with stinky cars, trucks, and RV's. It's a huge part of my business. And I'm happy to share everything that I know. Whether you're a first time ozone generator user looking to deodorize your own vehicle or a professional cleaner in need of high volume treatments. I've got you covered. Contact me anytime for expert industry advice, tips, and recommendations. I help customers succeed with our machines. 100% Guaranteed. No cheap import ozone machines! 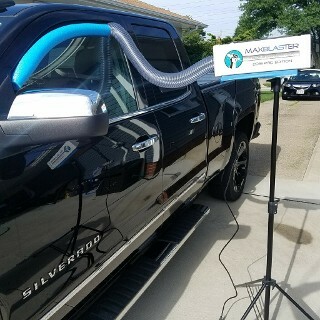 With over ten years of design enhancements, combined with the knowledge gained by working with thousands of auto detailers across America, I'm proud to now offer the MaxBlaster PRO Auto Detailer Package. 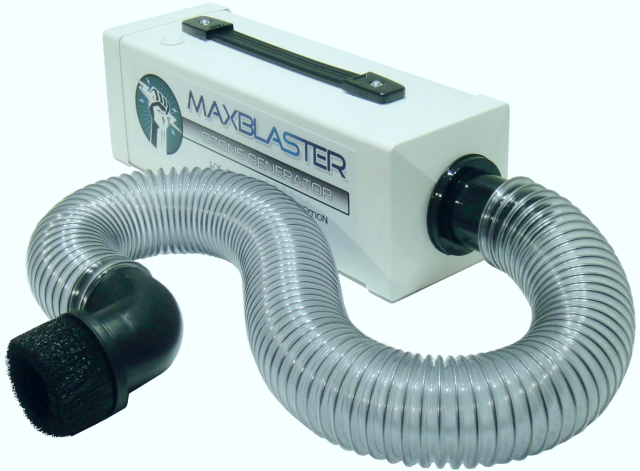 The ultimate ozone machine for vehicle odors. Plus the most efficient service protocol to help ensure your ozone generator works like new for as long as you own it. No more cheap Chinese ozone machines that work slow and fail fast. Get American quality, performance, and support direct from the industry leader. 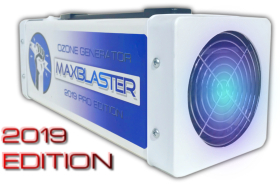 Hey guys and gals I'm very excited to announce the launch of this new ozone generator package. I've worked with hundreds (if not thousands) of pro's in the auto cleaning industry and for many years I've wanted to dedicate a special page on my website just for them. So here it is. It's still under construction so check back soon for more pictures, instructions, and information. For now just give me a call and I'll be happy to tell you all about it. Thanks again for the chance to earn your business. Expect great things to come!